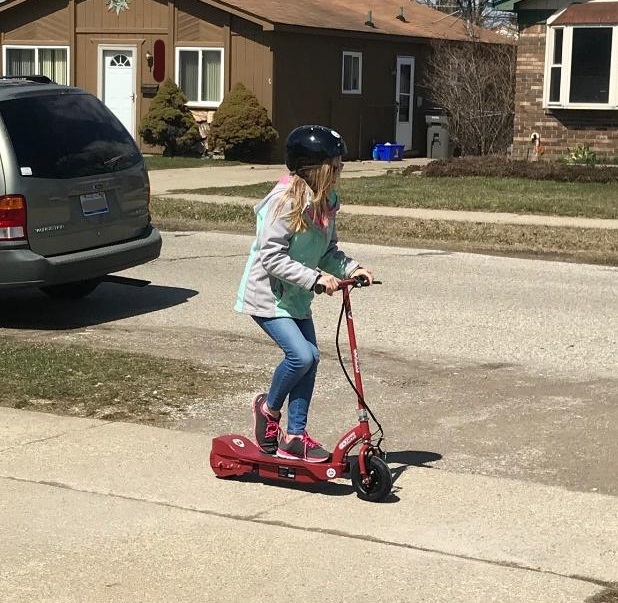 Gliding around town is now the cool thing for kids to do right? Gone are the days of walking and riding a bike, now we have cool electronic devices to get us where we need to be! 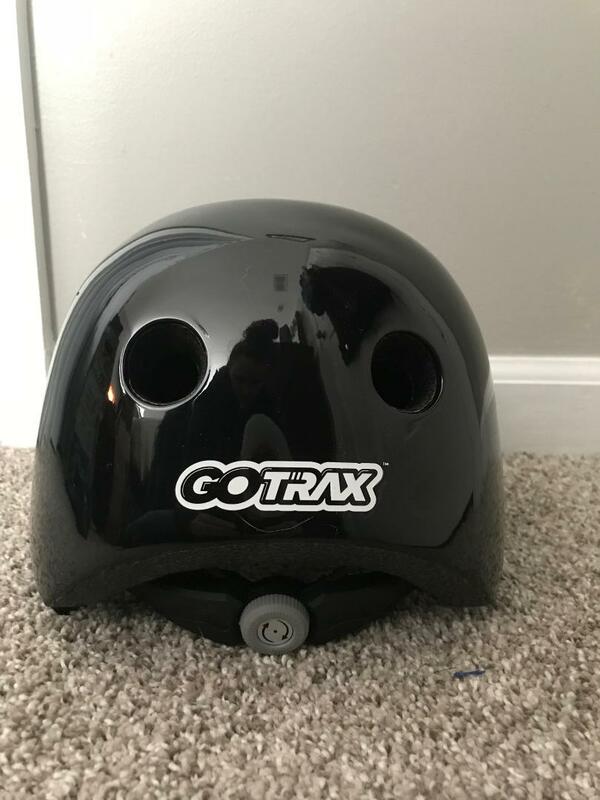 Keeping up with that trend is GoTrax. They have multiple scooters and hoverboards for you AND your children to have fun on! We received the Glider Cadet which is for children 8+. 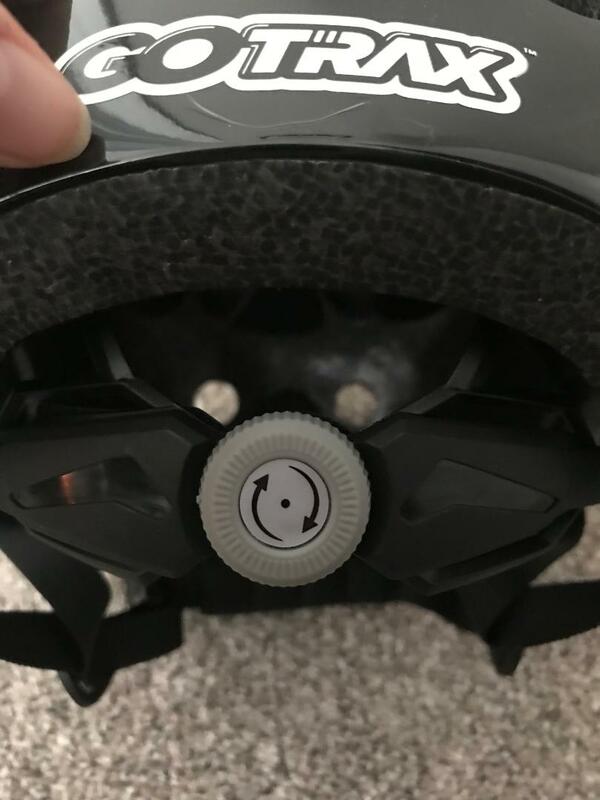 We also received a cool Helmet, for ultimate safety protection. 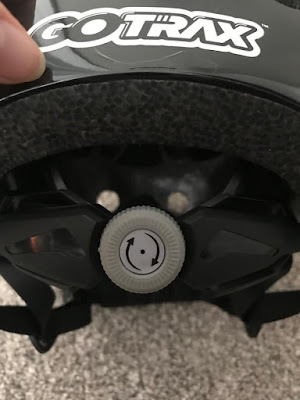 The helmet is really neat with a cooling ventilation system and sweat absorbent padding, and it also is adjustable so you get the perfect fit, every time! We got the helmet in Black! This dial adjusts the straps to make them tighter or looser. It's WAY easier than doing it the old fashioned way. The scooter accessories. 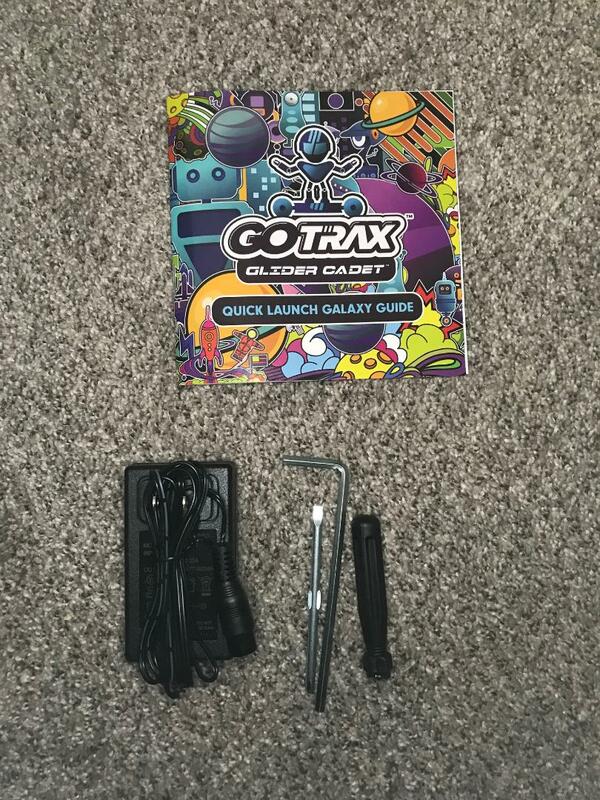 Came with a couple tools to assemble it, the charger and a Quick Launch guide. 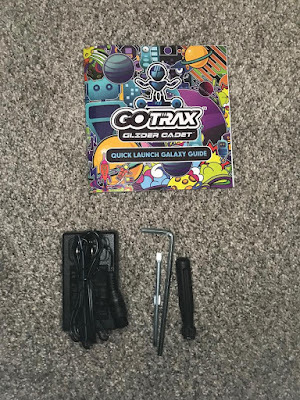 It only came in 2 parts, the base and the handlebar and the tools were used to tighten down the handlebar. Ready to go, after it charged for a bit! 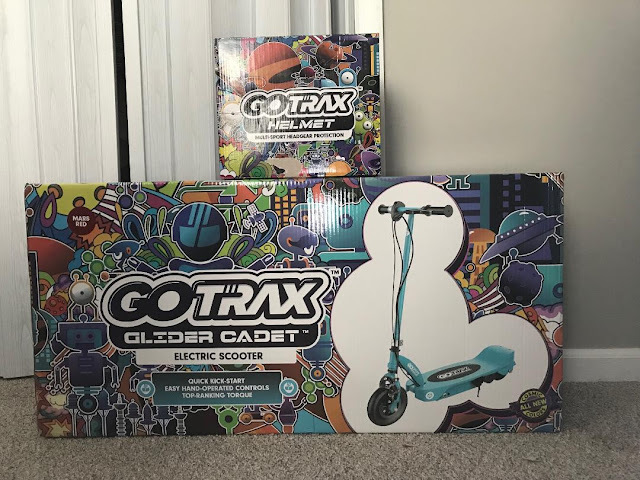 My daughter just turned 11 and she's SO excited for this!! 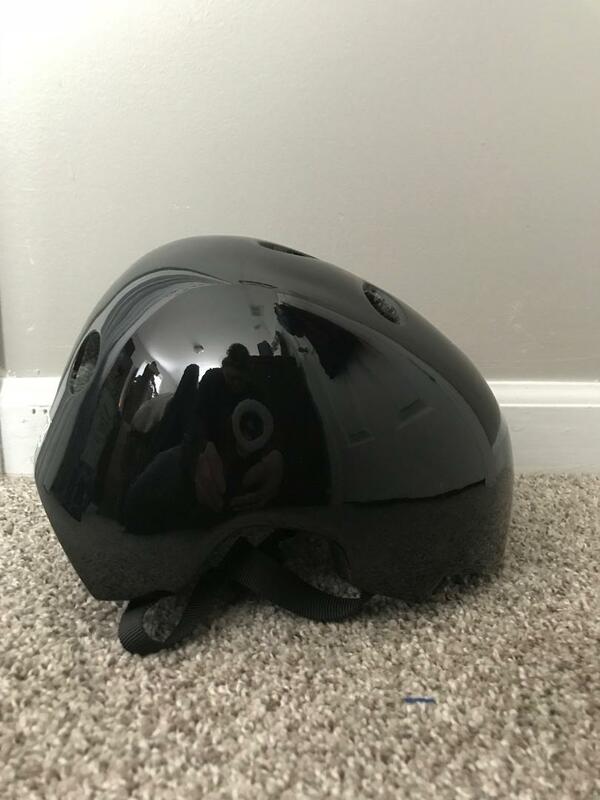 My middle is 6.5 and he can't WAIT to use this in a couple years! Once she got the hang of it, she let loose! She loves riding this Glider Cadet on our sidewalks! Setting up the Glider Cadet was super easy. I'm on my own now, so the hardest part was getting the handlebar straight to tighten it down. 2 people would make it a breeze, but absolutely not necessary! Then you should let it charge for a few hours before riding it, but we only let it charge 1 hour, out of impatience. 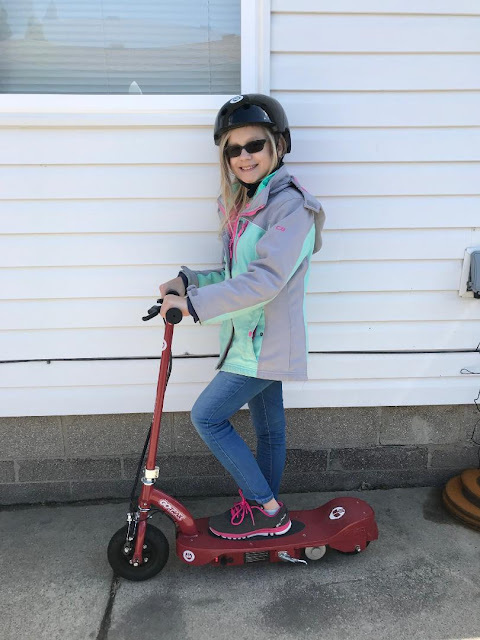 She rode it for a few minutes (this was a cold day) and then we plugged it up overnight! 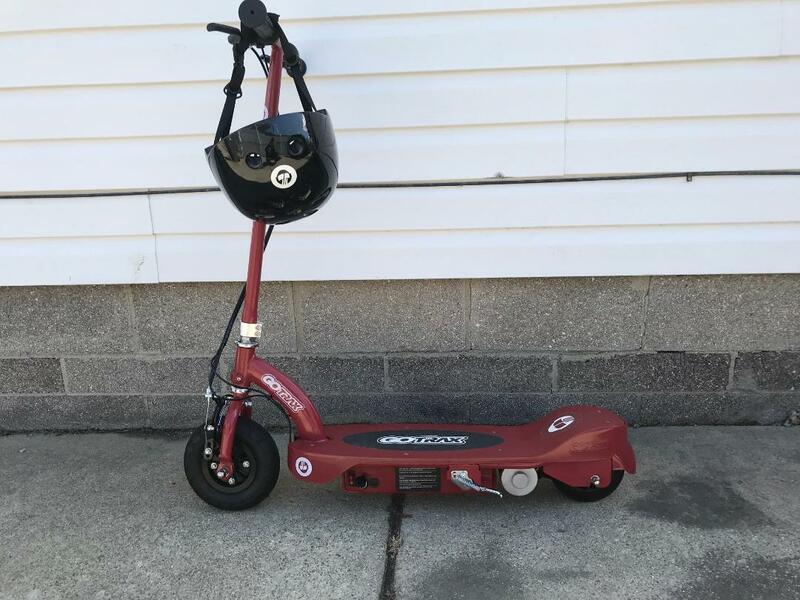 This scooter has been ridden NUMEROUS hours since we received it and I can honestly say she's incredibly happy with it and it's SUPER easy to use. 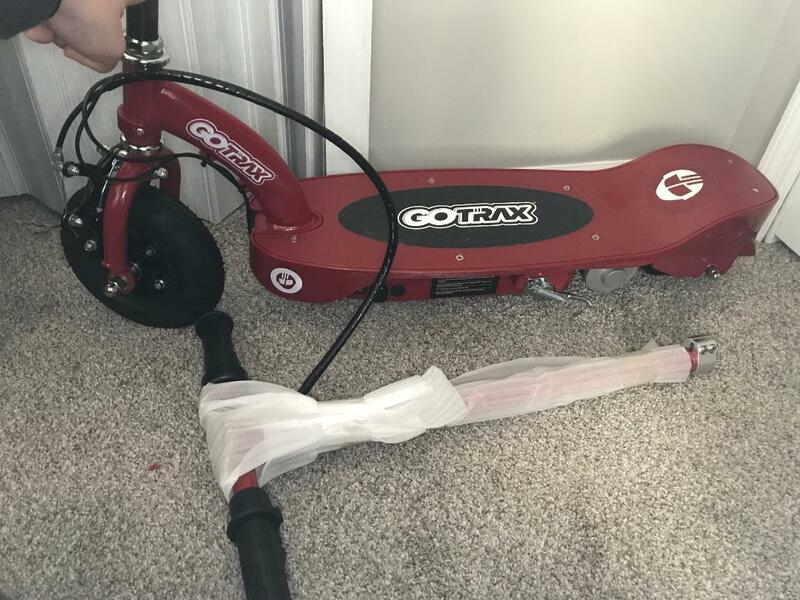 To get started, kick off like a normal scooter and the motor kicks on, then you just twist the handle and let the glider take over! It also has a hand brake as well. The Glider Cadet holds up to 120 pounds and goes up to 11 MPH with the powerful 100W motor! And the Glider has a 7 mile battery life! That's 7 miles straight you can ride this for. So not only is it fun, it could also be an alternative for walking/biking to school! Comes in 5 cosmic colors! Overall: ***** for sure!! Super happy with this product and I hope it lasts us years to come!